Gillian began her love of fitness, athletics, coaching and training at a young age. She was a two sport athlete through high school and then went on to play collegiate softball as a catcher. After graduating college, she worked for two years as an assistant softball coach and strength and conditioning coach at the collegiate level. Gillian is certified in MMA Fighter Fitness and as an ACE Certified Personal Trainer. 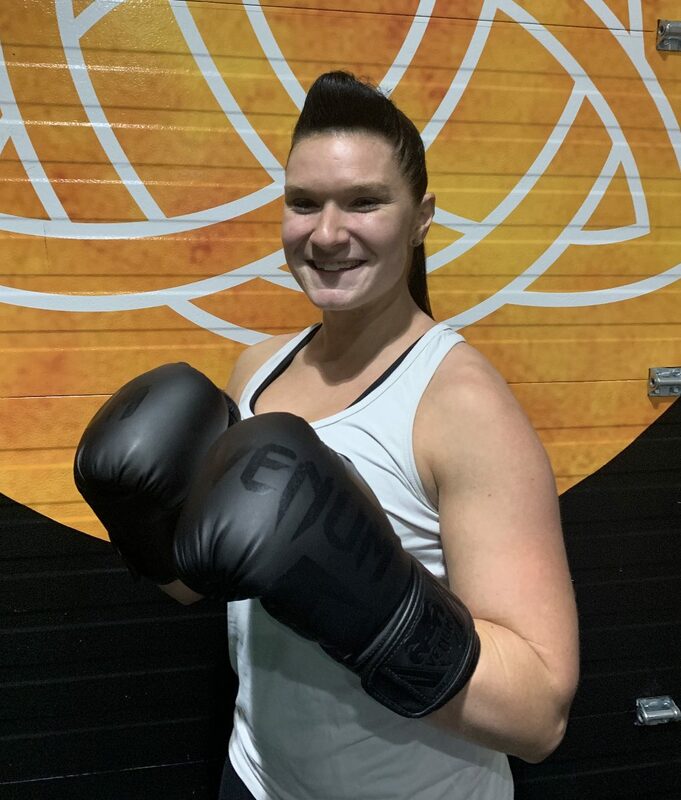 She enjoys teaching kickboxing technique as well as strength and conditioning. She enjoys working with other people and helping them to realize their own strength, inside and out. When she is not coaching or training, you can find her working on her own fitness and technique. She also enjoys testing her own limits and challenging herself by participating in obstacle course races as well as kickboxing. Gillian’s goal for her classes and clients is to help people become more awesome today than they were yesterday and encourage them to become the best versions of themselves that they can be.